A photo consultation (3 clear photos of the forehead, upper view of the head and donor area) or an in-person consultation is the first step in the process. Where the consultation will take place? In Turkey, in ESTCARE clinic. With the latest improvements, there is no need to wait until baldness reach to advanced degree it causes emotional distress and anxiety. Yes, using the proper techniques, hairlines and crown coverage can be covered and redrawn in a manner that defies detection. How many grafts would you estimate I need? Your density needs, and the amount of hair already present. 12-14 months after the first one. The visual signs of growing hair allows the surgeon to accurately transplant the new grafts. Will be any pain ? The procedure is performed under local anesthesia. 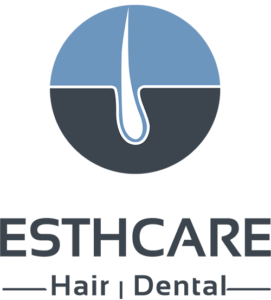 Once the skin is anesthetized, no pain or discomfort during the FUE hair transplant operation. What is the feature of lateral slit technique? Hair transplant using lateral slit technique allows for a more accurate control of hair graft angle and direction, with less tissue damage. With modern techniques of hair transplantation, many women facing pattern hair loss are now candidates for the operation. The main factors are healthy dense donor area and the patient’s results expectations. Why Mini Micro extractor FUE? Hair transplant with FUE method technology still in the development of new support technologies and equipments that can help improve our results and the success rates. With Mini Micro Extractor FUE, the doctors can maintain control of the donor area, so we can preserve and use the donor area as effectively as possible without damaging it or leave any trace of the extraction. Is growth of transplanted grafts in mega-sessions affected? Mega sessions provide excellent density, coverage and naturally results. But, it is not an option for every patient. Only an experienced team perform such a surgery. What is the postoperative shock loss? Some shedding after hair transplantation is common. It might begin from week one postoperative, and can continue for up to six weeks. It is a minor issue and should not be the cause for concern. Do I need rest after FUE hair transplant? Will smoking damage my FUE hair transplant Operation? Smoking causes decreased blood flow to the scalp thus contributing to poor wound healing. PRP is an autologous preparation of blood plasma with platelets. It contains growth factors and other proteins that aid in wound healing. To prepare it, 10 to 20 c.l of patient blood put in a centrifuge that separates the solid from liquid components. We use also the patient plasma in storing the grafts until they are transplanted on the scalp, or injecting PRP into the scalp prior to the placement of grafts. How do you store grafts ? Graft storage is one of the main support technique for graft survival. We use a storage solution composed of HypoThermosol, Liposomal ATP and the patient’s plasma. These elements bring together two benefits: graft stress reduction during storage and avoid cellular deficiency during and after graft storage. Also, we use a storage device that chills grafts from 0C to 4C and maintains this temperature. After surgery, how long will it be till I see the results ? It takes 7-8 months to begin to see a cosmetic difference. After 2-3 months. Are there any complications associated with the procedure ? As the placement incisions are so small, the risk of postoperative infection is almost zero. You will likely experience some redness and maybe some slight swelling in the treatment area immediately after treatment. Most FUE transplants can be completed in one day and one session in trip of 3 days to Istanbul. On the day of treatment, the patient arrives at ESTCARE clinic in the morning, then blood tests and after the consultation with the doctor is made the medical team shave the patient’s hair and complete the patient preparation for the operation. The transplanted area is then numbed with local anesthetic, and the hair extracted will be transplanted. Each hair is replanted in the same direction as the surrounding hair to ensure a totally natural result. What is Donor area Management ? The donor hair available for a lifetime but it is limited and we have to make the correct selection of the best strategies to make sure the donor hair is used wisely to solve the patient’s baldness. Is it a must cut my hair short in FUE hair transplant ? In certain cases we can transplant without cutting the hair short depending on numbers of grafts required, but in most cases we do cut the hair short to gain the maximum quality grafts possible. How many procedures do I need ? Numbers of procedures required depends on your goals, donor area capacity and the doctor plan, your recent level of hair loss and how it may change. Most patients require 2 procedures in their lifetime. Will the results be natural ? We have a strict rule that only doctors are doing the incisions (canal) to ensure the naturalness and success of the final result. It requires natural artistic flair and we recommend you to check our gallery to see what we achieved. Can I read a book ? We provide a range of lunch options for you at ESTCARE clinic and if you have any special dietary requirements please inform us. If you have more question ? contact us ?